Oakland. Dallas. Nashville. Three very different cities, but they all have one of the 32 National Football League teams scattered through the United States. Does that kind of sound familiar? The NFL had a European league from the 1990’s to 2007, but this plan is different! Since 2007, at least one American team has played at Wembley Stadium. This year three teams are scheduled to play sold-out games there this fall. The Raiders will play the Dolphins, the Falcons will compete against the Lions, and the Cowboys will meet the Jaguars. In fact, the Jaguars have committed to playing one game for the next four seasons in England. The games in London, I think are a tribute to the NFL, a tribute to the fans there, the quality of the game — and I think that it’s proved conclusive that fans will come out when they see the real players playing games that are really meaningful, as opposed to NFL Europe. The games will either be taped-delayed in the U.S. or broadcasted live at a weird time. When the Giants played there in 2007, the game was at 1 PM in London and 8 AM in New York. Where will the games air in America? The major networks won’t want to give up their morning programming. It is going to cost a lot of money to fly these players back and worth, not to mention all the coaches, support staff, and equipment. The teams will also spend a lot of time traveling and less time practicing, and they’ll be away from their friends and family a lot more. What about the media? It’s going to cost a lot for outlets to send reporters, photographers, technical directors, and producers to these games. Will the events lack coverage in America because the media doesn’t want to send anyone? The NFL will have to compete with soccer on the weekends there. Would it be possible to even fill the 90,000 seats at Wembley? Probably not. That’s bigger than any stadium in the U.S., and it’s already tough to fill those at times. Only 83,000 attend the special games that are played there a few times a year. The local economy in team’s American towns will be missing out on a lot of revenue. Hotels will be empty, restaurants won’t have a wait, bars won’t need extra beer and waiters, and gas stations won’t need to stock up on hand warmers. It’s doubtful that Americans will travel to Europe to see football played. Would a team re-locate or be created? 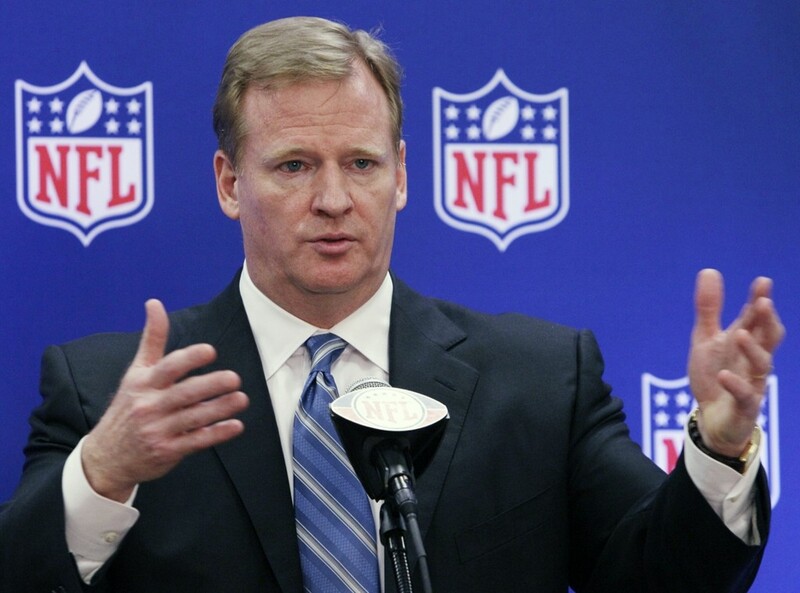 Goodell has said that he wants to keep the league at 32 teams, so that might upset an American market. Conference changes, scheduling, and playoff issues are also big concerns. Football is an American tradition. The league can keep playing a few games a year internationally, but a team is not needed in London. The NFL and Goodell need to take a good look at the bigger picture and realize expanding may create more problems and actually cost them money. They’ve already failed once. What are your thoughts? Leave a comment below and let’s kick off this discussion. Posted in Going to London? Will the NFL Exploit Its First Female Referee? Student Athletes Better Off As A Union? What Happened to “Learning” at College?